Frank Ellsworth (F.E.) Olds was born in Medina, New York in 1861. He was named for the Civil War hero Frank Ellsworth of the Ellsworth Zouaves. While a child his family moved to Toledo, Ohio. After finishing high school, F.E. went to Elkhart, Indiana to work for C.G. Conn and learned the brass instrument making business. In 1885, he moved to Los Angeles, California. An amateur trombone player and entrepreneur, he first set up a shop to build bicycles, which was the only one in Los Angeles at the time. By 1886, he had established the first electroplating shop in Southern California, doing silver plating with H. T. Hazard, establishing the Los Angeles Tool Works by 1887. 1886 also marked the arrival in Los Angeles of F.E. 's future bride, Helen Daisy Birdsall. All along experimenting with trombone design, he was repairing band instruments full-time by 1910. This early work was done in a small workshop behind his house, which was just south of downtown Los Angeles. It was probably about this time that he first offered his new trombones for sale. Implementing new ideas patented in 1912 (some of these are incorporated in trombones today), Olds started producing quality trombones on a small scale. From the earliest years, he was offering a variety of bore sizes (.485" and dual bores from .494"/.509" to .509"/.535") and bell diameters from 6" to 9 ½". Reginald Birdsall (R.B.) Olds (b. September 11, 1899) came to work with his father in 1920, having served in the U.S. Navy during World War I. With R.B. 's enthusiasm, Olds published their first catalogue in 1925 and introduced new models shortly after. It was about 1924 that Olds started making mouthpieces with ivory rim and cup and the trademark "Golden Bear" playing the trombone was first engraved on the bells. R.B. was most likely responsible for using the slogan: "It's a Bear", and otherwise modernizing the image of the company and its products. Also, during these years, they were working on trumpet design, finally tooling up for its production by 1928. R.B. introduced cornets soon afterward. The Super Olds line of trombones, trumpets and cornets was introduced in about 1932 and soon became legendary. Other models introduced in the 1930s include the Special, Military, Symphony and French Models. All but the Super models could be ordered with a distinctive hammered finish on the bell. This was the standard finish for the Military line. The Super bass trombone could be had with two valves, both actuated by levers. 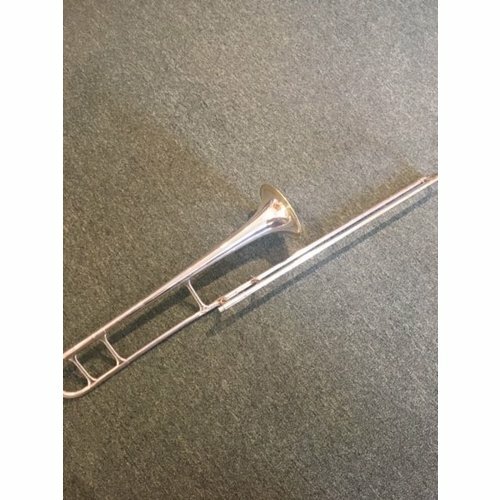 This is likely the first production bass trombone with two valve levers. There were also some french horns made in the late 1930s, although they didn't appear in the catalogues at that time. The Recording model trumpet and cornet were probably designed shortly before the war halted production. During World War II, the government had Olds produce saxophones along with the more standard strategic production. Today these are very rare as they were not generally available to the public and a large number of them went down with a supply ship in the Mediterranean. By 1941 Olds held al least six patents for trumpet and trombone design. One of CMI's initial operating decisions was to begin producing a full line of background and low brass instruments in addition to the trumpet, cornet and trombone models that Olds was already making and had built its reputation on. 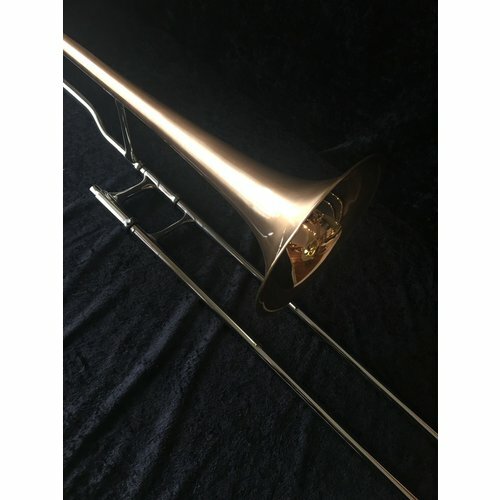 However, the Olds plant in Los Angeles was not set up for manufacturing the additional brass lines and CMI had difficulty finding a partner who would provide these instruments to Olds without also producing the more profitable small brass and trombones. Instead, CMI's president, Maurice Berlin, coaxed Foster Reynolds, a former apprentice at J.W. York,30 year veteran of the H.N. White company, and founder of F.A. Reynolds Co., out of retirement and sent him to Los Angeles with a directive to tool up the factory and begin manufacturing the full line of brasses. In the late 1940s, in a meeting between Reynolds, Reg Olds and Berlin, it was decided to pursue the student musician market for which great projections had been made. 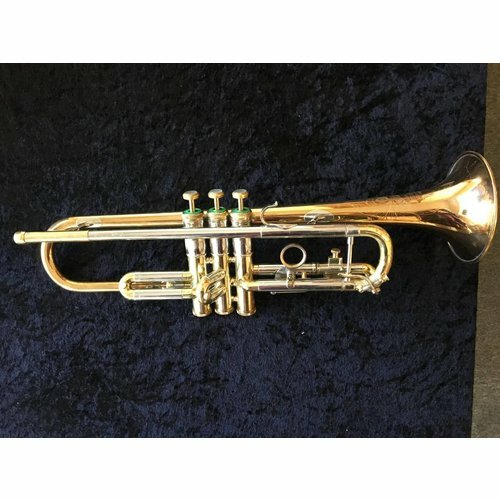 Among his first design actions were the renowned Ambassador model trumpet, cornet and trombone (1948). In fact, the trumpet was designed in tandem with the Mendez professional model. Because Olds management was concerned about the possible effects of a low-priced model on the company's reputation, Reynolds insisted the horn be built to the same quality and tolerances of the rest of the line, only with less-expensive bracing and other features. 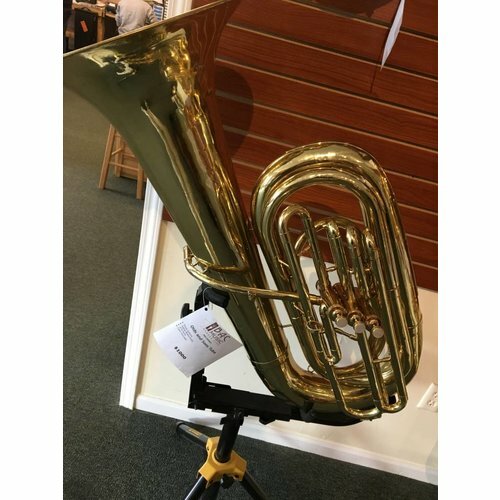 According to R. Dale Olsen, who was R&D director at Olds in the 1960s, the company was a "one tolerance shop," meaning that all brass instruments were crafted to the same close tolerances, regardless of price or market niche. Built on the same bell mandrels as the premium Recording models and featuring extremely reliable valve sections, the Ambassador line was intended to reflect Reynolds' professional commitment to providing high-quality, dependable horns at an affordable price. The "Brilliant Bell" of the 1948/49 Studio line (trumpet, cornet, trombone) points to either collaboration or competition with Reynold's former company in Cleveland, who had launched an identical nickel-silver bell flare on the Emperor ("Silver Flare") and Roth ("Tone Tempered") lines in 1947. Another accomplishment to Reynolds' credit was his signing of the trumpeter Rafael Méndez in the late 1940s to be an Olds clinician and endorsor. He worked closely with Mr. Mendez to create the artist's signature model trumpet and long cornet. 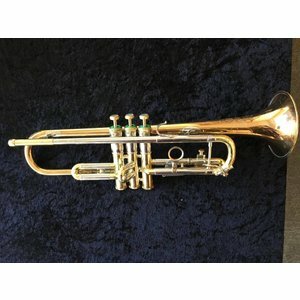 Reynolds began by measuring the F. Besson Meha trumpet that Mendez was so fond of and then evolving the design (actually, the measuring was reportedly done by his brother, Harper. The lead pipe, for example, was much different than anything Olds had produced). 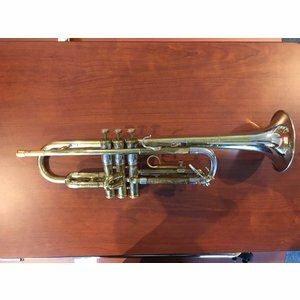 These were professional trumpets accepted as equal to or better than what was currently on the market. The Mendez trumpet was used and endoresed by the likes of David Jandorf and Clyde McCoy. The large bore (.468") Opera trumpet and cornet models followed several years later. Rafael Méndez's name and the use of the Recording and Super models by other professionals is credited with enhancing the image and sales of Olds instruments. In 1952, Reynolds, as the plant supervisor, brought Don Agard to Olds from F.A. Reynolds Co. One of Agard's first projects was managing the move in 1954 from Olds' long-time factory in Los Angeles to larger facilities in Fullerton. Reynolds died of a heart attack, July 18, 1960, while at work at the Fullerton plant. After his death, Agard took over plant operations while Kanstul became factory superintendent. Reynold's brother, Harper, who was shop superintendent and who helped launch the Ambassador instruments, retired. 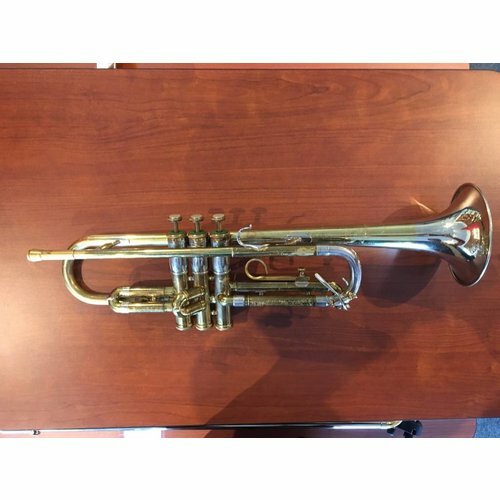 R. Dale Olsen was brought in as director of research with a directive to create a line of upper-register trumpets. He succeeded in designing the 'C', 'D' and 'E Flat' trumpets and subsequently the "Custom-Crafted" series of B flat trumpets that featured one-piece hand-hammered bells.